My good friend, Mahogany L. Browne (Poet/Curator/Author) released a beautiful book of her poem "Black Girl Magic," illustrated by Jess X Snow and published by Macmillan. She called on myself and a few other poets (Shannon Matesky, Roya Marsh, Elizabeth Acevedo, Falu, Eboni Hogan, and Imani Davis) with their own Black Girl Magic flavor to film the words of her poem. Here it is! FYI: You can purchase this inspiring book at Barnes & Nobles, Amazon, and wherever awesome books are sold. 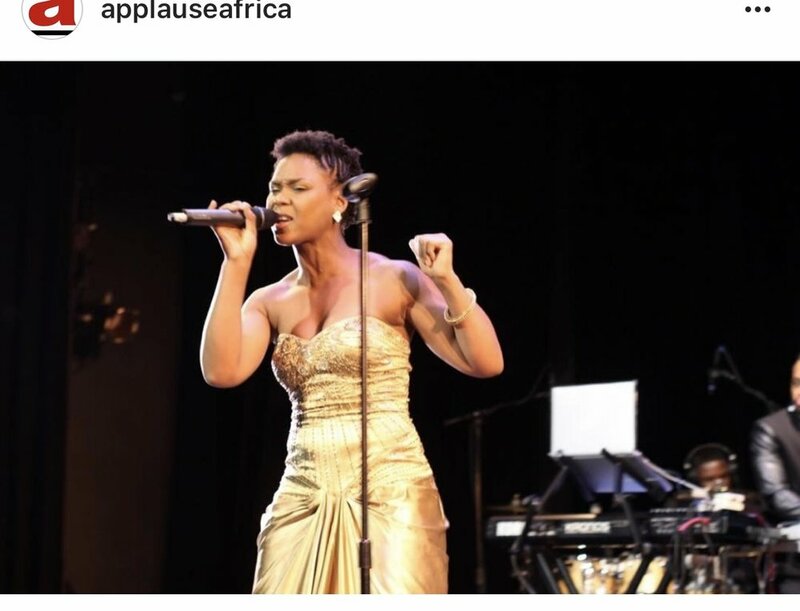 This past Saturday, I was blessed to be the opening performer for the 6th Annual African Diaspora Awards at the Florence Gould Hall on the Upper East Side of Manhattan. Hosted by comedian and Instagram sensation, Dulo (@iamdulo), the show recognized some powerhouses who've made great contributions to the African community and the world around us. I was asked to write a poem for the event which is below. It was great to see the other performers grace the stage including Ayo (who was EXCELLENT and a privilege to meet), Afrobeat artist Owen, soulful singer Mayoa as well as the internationally known Sarcodie. I opted to wear a dress that formerly was my mother's. It felt appropriate thinking about legacy and ancestors within the Diaspora who've bestowed their spirit to us in their passing. Check out the photos below! "If you wan chop frog, make you chop better frog, make you chop better frog, make you chop better frog"